Specially built starter set of dissection tools. The Bookstore Dissection Set is designed to support all types of college level dissection. 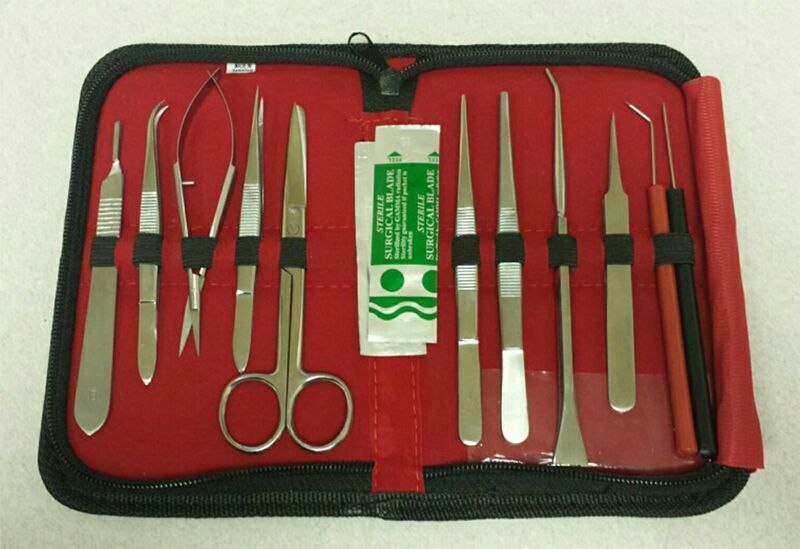 The mix of tools allows users to have exactly the necessary item at hand for any basic dissection. The instruments are high-quality stainless steel and will provide years of service. They conveniently store under loops in the zippered case.